Disney Infinity 2.0 is the second in the Disney Infinity series of games, in which players place a figure of one of many popular Disney characters onto a 'Disney Infinity Base' in order to play as that character in-game. The game is made of two modes: playset and toy box. The playsets are a series of adventures featuring Disney properties, in which players complete a story based campaign. The toybox is an open ended mode in which players construct their own worlds, levels and even entire game modes from kit parts. 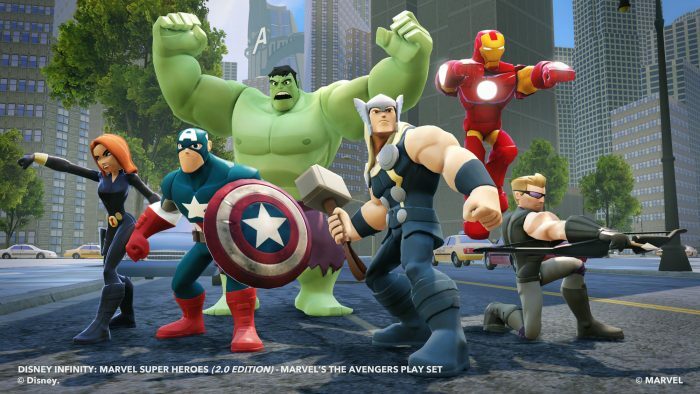 Disney Infinity 2.0 introduces Marvel characters to the world of Infinity. Ninja Theory assisted Avalance Software toward the end of development on Disney Infinity 2.0, in order for the game to be released on time, and also to familiarise Ninja Theory with the Octane game engine. During this time, I worked on the Avengers playset, designing and implementing two missions: Keeping it Loki and A Worldwide Web, and implementing the random encounters with Frost Giants. This involved using the Octane engine and Autodesk Maya.